Astrocytomas are the most common primary tumors of the central nervous system. Astrocytomas develop from small, star-shaped cells called astrocytes, and may arise anywhere in the brain or spinal cord. Grade IV astrocytomas are called glioblastoma multiforme (GBM), considered to be the most horrific and incurable type of brain tumor. Glioblastomas and anaplastic astrocytomas, accounting for more than 50 percent of all astrocytomas, grow rapidly and spread aggressively. The average lifespan after diagnosis is about 400 days (most of which, reportedly, aren't worth a darn). Brain cancers are often discovered in the final stages, partly because of stealth proteins used by tumors in early malignancy to evade the body's alarm systems. The Interphone Study was designed as a global, case-control inquiry on the link between mobile phones/cordless phones and various cancers. The research was conducted in 13 countries using a common protocol. 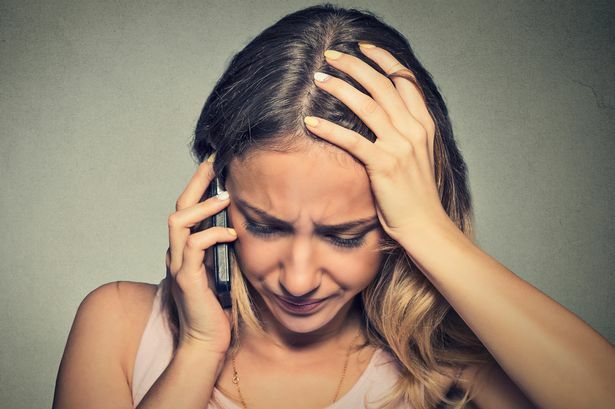 The pooled results showed an increase in risk for glioma brain cancer and acoustic neuroma among microwave phone users, but directors of the study worried that recall bias and error may have prevented a causal interpretation. In 2011, Cardis et al., published an overview of five of the countries in the study and stated that "there were increased odds ratios for tumors in the most exposed parts of the brain in those with 10+ years of mobile phone use....There were suggestions of an increased risk of glioma in long term mobile phone users with high RF exposure and of similar, but apparently much smaller increases in meningioma [brain tumor] risk." Cardis called for replication studies. In May 2011, a working group composed of 31 experts on electromagnetic field (EMF) radiation, convened by the International Agency for Research on Cancer (IARC) of the World Health Association (WHO), reported on the results of an extensive review of the health effects research. The committee concluded that radiofrequency radiation is a Group 2B carcinogen and therefore possibly cancer-causing in humans. In arriving at this conclusion, the working group relied heavily on results of the Interphone Study, a 13-nation study sponsored by the WHO, and a series of studies conducted by Dr. Lennart Hardell in Sweden. Leading experts, including the Hardell Group, insist that the IARC designation must now be updated to reflect additional scientific evidence for cancer which has accumulated since 2011. Strength [of data]: meta-analysis of case-control studies gives odds ratio (OR) = 1.90, 95% confidence interval (CI) = 1.31–2.76 with highest cumulative exposure. Consistency: the risk increases with latency, meta-analysis gave in the 10+ years' latency group OR = 1.62, 95% CI = 1.20–2.19. Specificity: increased risk for glioma is in the temporal lobe. Using meningioma cases as comparison group still increases the risk. Temporality: highest risk is in the 20+ years' latency group, OR = 2.01, 95% CI = 1.41–2.88, for wireless phones. Biological gradient: cumulative use of wireless phones increases the risk. Plausibility: animal studies show an increased incidence of glioma and malignant schwannoma in rats exposed to radiofrequency (RF) radiation. There is increased production of reactive oxygen species (ROS) from RF radiation. Coherence: there is a change in the natural history of glioma and increasing incidence. Experiment: antioxidants reduce ROS production from RF radiation. Analogy: there is an increased risk in subjects exposed to extremely low-frequency electromagnetic fields. Yet, We Are Still in the Information Dark Ages! 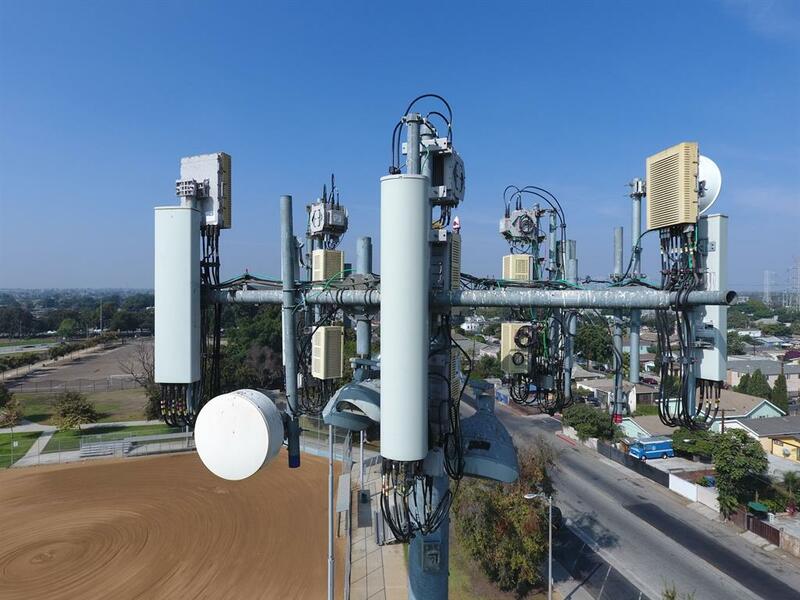 The above-listed documentation provides clear evidence that microwave radiation used for wireless technologies is what the Hardell Group calls "a multi-site carcinogen." A multi-site carcinogen can cause cancer anywhere in the body. But most of the scientific evidence for microwave causation of malignancy in man and beast has been gathered mainly from the older wireless technologies, that is: NMT, 2G, 3G and older radar installations. There is little desperately-needed data on the real-life carcinogenicity of the numerous Wi-Fi channel frequencies being delivered non-stop to most people wherever they go: 2.45 to 6 gigahertz. Nor do we have adequate research on the newer 4G/LTE and 4G/WiMax antenna frequencies now saturating the nation: 600 to 850 megahertz and 1.7 to 2.6 gigahertz. With the advent of smart phones and tablets, human exposure has been greatly amplified compared to earlier human exposures. Smart personal devices feature multiple antennas which simultaneously beam differing carrier frequencies along with their diverse modulation signals, all doing their own vibrational "thing." Millions of device-worshippers stream MIMO 4G (multiple signals) into their flesh for hours each day, then tuck it under their heads at night. Worst yet, many begin this intensive microwave abuse in infancy. current excessive daily exposure levels that most people take for granted. annual cancer statistics for both the USA and Canada. all of the above existing wireless pollution!!!!!! Are you getting the picture, America? Does this information make sense to you, Canada? Top mobile firms know that they sell cancer! 1. "Cardiovascular Disease: Time to Identify Emerging Environmental Risk Factors," Bandar et al., European Journal of Preventative Cardiology," 2017. 2. "Comments on NTP Technical Report on the Toxicology and Carcinogenesis Studies In Hsd: Sprague Dawley SD Rats," Hardell et al., March 12, 2018. This 26-page document was submitted to the US National Institutes of Health by the Hardell Group, Department of Oncology, University Hospital, Orebro, Sweden. 3. "There's No Evidence that Cell Phones Pose a Public Health Risk, No Matter What California Says," Popular Science, 12-19-2017. 4. "Microwaves Promote Cancer," Microwave News, July/August 1984. 5. “Data Strongly Suggest Microwaves Can Promote Cancer,” Microwave News, February 2003. 6. "Exposure to Extremely Low Frequency Electromagnetic Fields and the Risk of Malignant Diseases--An Evaluation of Epidemiological and Experimental Findings," Hardell et al., European Journal of Cancer Prevention, 4 Suppl 1 (Supplement):3-107 October 1995. 7. "Digital Mobile Phone Radiation Boosts Cancer Rates in Mice," Microwave News, May/June 1997. 9. "Ionizing Radiation, Cellular Telephones and the Risk for Brain Tumours," Hardell et al., European Journal of Cancer Prevention, 10 (6), January 2002. 10. "Further Aspects on Cellular and Cordless Telephones and Brain Tumors," Hardell et al., International Journal of Oncology, 10.3892/ijo.22.2.399, pages 399-407. 11. The REFLEX project was set up by the European Union to investigate the effects of low-level RF/microwave radiation used for wireless technologies. At a cost of three million dollars, the work was carried out by 12 research groups in seven European nations and completed in 2004. See: Report of the European Union's REFLEX Project (Risk Evaluation of Potential Environmental Hazards from Low Frequency Electromagnetic Field Exposure Using Sensitive in vitro Methods), November 2004. An in-depth report on the REFLEX project can be found in the on-line brochure Health and Electromagnetic Fields: EU-funded research into the Impacts of Electromagnetic Fields and Mobile Phones on Health published by the European Commission, 02-29-2008. 12. "Exposure to 900 MHz RFR at 0.0035 W/kg Affected Cell’s Self-defense Responses," Marinelli et al., J Cell Physiology. 198(2):324-332, 2004. 13. "Pooled Analysis of Two Case-Control Studies on Use of Cellular and Cordless Telephones and the Risk for Malignant Brain Tumours Diagnosed in 1997-2003," Hardell et al., International Archives of Occupational and Environmental Health, Volume 79, Issue 8, pp. 630-639. 14. "Epidemiological Evidence for a Health Risk from Mobile Phone Base Stations." Int J Occup Env Health:16- 3, Jul/Sept 2010, p. 263-267. 15. "Pooled Analysis of Case-Control Studies on Malignant Brain Tumours and the Use of Mobile and Cordless Phones Including Living and Deceased Subjects," Hardell et al., International Journal of Oncology, 38(5):1465-74, February 2011. 16. IARC Report to the Union for International Cancer Control (UICC) on the Interphone Study, Dr. Christopher Wild, IARC Director, Lyon, 03 October 2011. See Also: "Re-Analysis of Risk of Glioma in Relation to Global Telephone Use: Comparison with the Results of the Interphone International Case-control Study," Hardell et al., Umeå University, Faculty of Medicine, Department of Radiation Sciences, Radiation Physics, International Journal of Epidemiology, ISSN 0300-5771, 1464-3685, Vol. 40, no 4, p. 1126-1128. 17. "Association Between Number of Cell Phone Contracts and Brain Tumor Incidence in Nineteen U.S. States," Lehrer et al., Journal of Neuro-Oncology, (2011) 101:505-507. 19. "Pooled Analysis of Case-Control Studies on Acoustic Neuroma Diagnosed 1997-2003 and 2007-2009 and Use of Mobile and Cordless Phones," Hardell et al., International Journal of Oncology, 43 (4) July 2013. 20. "Using the Hill Viewpoints from 1965 for Evaluating Strengths of Evidence of the Risk for Brain Tumors Associated with Use of Mobile and Cordless Phones," Hardell et al., Review of Environmental Health, 2013; 28 (2-3):97-106. 21. "Multi-Focal Breast Cancer in Young Women with Prolonged Contact Between Their Breasts and Their Cell Phones," West et al., Hindawi Publishing Corp., Case Reports in Medicine, Article ID 354682, 08-19-2013. 22. "Decreased Survival of Glioma Patients With Astrocytroma Grade IV (Glioblastoma Multiforme) Associated With Long-Term Use of Mobile and Cordless Phones," Hardell et al., Environmental Research and Public Health, 11 (10)10790-10805, 2014. 23. "Mobile Phone Use and Brain Tumours in the CERENAT Case-Control Study," Coureau et al., Occupation and Environmental Medicine, 2014, July 71 (7) 514-22. 24. "Tumor Promotion by Exposure to Radiofrequency Electromagnetic Fields Below Exposure Limits for Humans," Lerchi et al., Biochemical and BioPhysical Research Communications, Volume 459, Issue 4, April 17, 2015. 25. NTP Toxicology and Carcinogenicity Studies of Cell Phone Radiofrequency Radiation, National Toxicology Program, National Institute of Environmental Health Sciences, June 8, 2016. BioEM2016 Meeting, Ghent, Belgium. 26. "Mobile Phone Use and the Risk of Parotid Gland Tumors: A Retrospective Case-Control Study," Al-Qahtani et al., The Gulf Journal of Oncology [01 Jan 2016, 1(20):71-78]. 27. "Probabilistic Multiple-Bias Modeling Applied to the Canadian Data From the Interphone Study of Mobile Phone Use and Risk of Glioma, Meningioma, Acoustic Neuroma, and Parotid Gland Tumors," Momoli et al., American Journal of Epidemiology, 1;186 (7) 885-893, 10-01-2017. 28. "Evaluation of Mobile Phone and Cordless Phone Use and Glioma Risk Using the Bradford Hill Viewpoints from 1965 on Association and Causation," Carlberg et al., BioMedical Research International, Article ID 9218486, 03-16-2017. 29. "Report of Final Results Regarding Brain and Heart Tumors in Sprague-Dawley Rats Exposed from Prenatal Life Until Natural Death to Mobile Phone Radiofrequency Field Representative of a 1.8 GSM Base Station Environmental Emission," Falcioni et al., Environmental Research, March 2018. See also: "More Than a Coincidence," Microwave News, February 20, 2018. 30. "Cell Phone Use and the Risk of Thyroid Cancer: A Population-Based Case-Control Study in Connecticut," Luo et al., Annals of Epidemiology, 2018 10:004. 31. "Radiofrequency Radiation-Related Cancer: Assessing Causation in the Occupational/Military Setting," Peleg et al., Environmental Research, Volume 163, May 2018, pp. 123-133. 32. 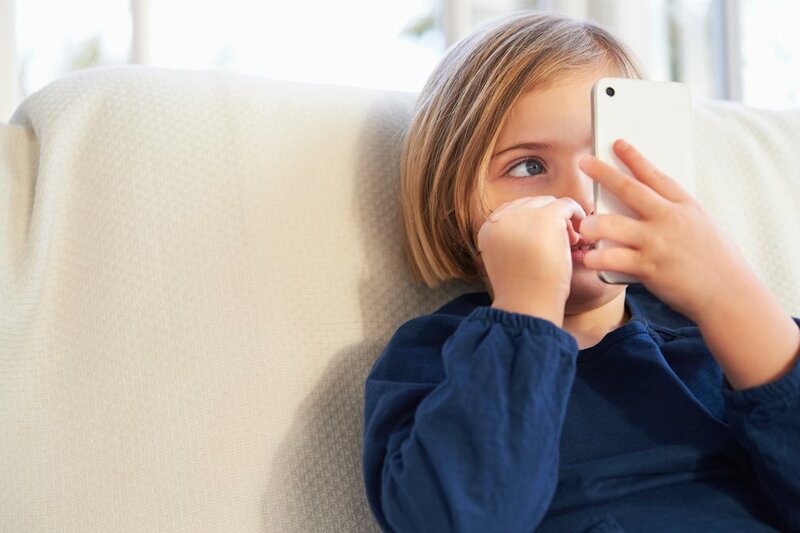 Exposure and Use of Mobile Media Devices by Young Children," Kabali et al., Pediatrics, December 2015, Vol. 135/ Issue 6. Note: The above list of wireless pollutants requiring proper human health studies does not include the blizzard of numerous OTHER environmental frequencies: military transmissions, HAARP-type weather control microwaves, Doppler weather radar, aircraft radar, AM and FM radio frequencies, shortwave radio, digital television frequencies, public safety frequencies, experimental white space frequencies (used for Super Wi-Fi), HPWREN transmissions, X, Ku, Ka satellite signals, etc.